Meschi Construction, Inc is dedicated to meeting the needs of builders and homeowners in the Monterey Bay Area. Our company objective is to build homes that exceed client expectations while maintaining a fun and professional working environment. We invite you to contact us with any of your construction needs or questions. it is our desire to provide you with a unique and enjoyable building experience. We look forward to hearing from you soon. We construct new homes with the hands-on knowledge of how to build with both quality and efficiency. Our approach to project planning keeps clients “in-the-loop” of communication and allows for informed changes along the way. Our teams are detail oriented and continue to satisfy a discerning client base with complex and demanding tastes. 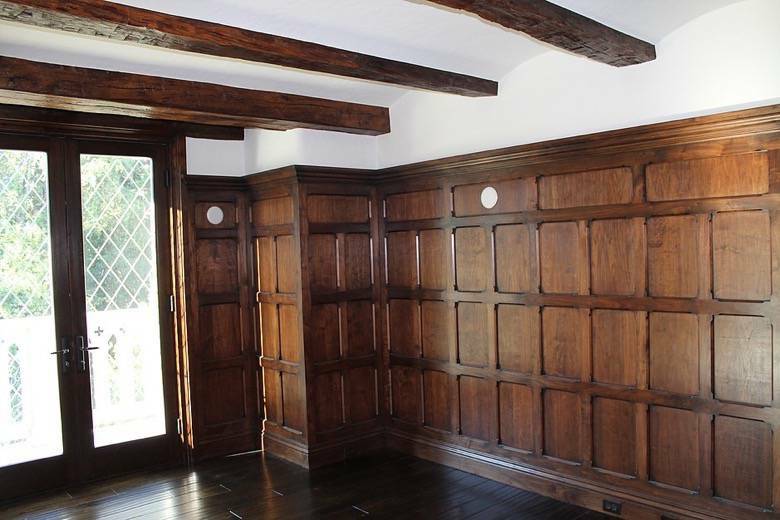 Carpentry work is self-performed by our employees ensuring a stunning end result. Building a home on a solid and level foundation sets the bar for an entire project. We approach each foundation with the desire to make the project easier for all of the subcontractors who will follow after us. Most clients find it both convenient and advantageous to have Meschi Construction, Inc. build their foundation and frame their project. Continuity of personnel and having one point of contact helps keep things simple. Seeing a home come to life during the framing stage is often one of the most exciting parts of a project. Our framing mantra is “Speed & Accuracy” and our systematic approach to framing complex structures ensures a quality home built in a timely manner. A large part of our company’s success is due to our outstanding reputation for custom framing. We take pride in leaving a lasting impression on our projects through our finish carpentry skills. Although every project is different, we approach each endeavor with the same attention to detail. We have honed our skills on virtually every type of home, from Modern to English Countryside and everything in bewtween. Fine finish carpentry will set your project above the rest and leave you with a lasting sense of satisfaction. FROM THE BEGINNING…… our goal has been to build custom residential homes in the Santa Cruz and Monterey Bay Area. We are able to accomplish this consistently by providing quality construction services, in a professional manner at a fair price. We have the proven jobsite experience that translates into beautiful finished projects. Each person on our project team has been chosen for their work abilties, communication skills, and overall attitude. We are proud of the company we have built and think you will be too. 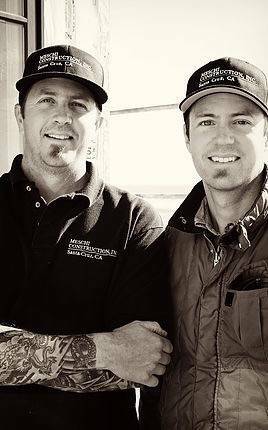 Meschi Construction, Inc. is owned and operated by Josh and Zach Meschi. The Meschi brothers are fourth generation natives of Santa Cruz County. Josh served his carpentry apprenticeship in San Luis Obispo while earning his degree in Construction Management from Cal Poly. Zach also served his apprenticeship in San Luis Obispo and obtained his degree in Business from San Jose State. Since 2001, Meschi Construction, Inc. has been helping building professionals and homeowners make their projects a success. Meschi Construction Inc. is fully bonded and insured. Couldn’t find your email address. Glad you could make the Code Presentation at MFC for the SC Construction Guild members 1/19/12. We hope you got something out of it. We also want you to know that our CSI library is open for your use if needed for a job. Great photos of your work above, BTW. Keep us in mind if any Code issues come up, you could use a waterproofing detail on a tricky spot, or you end up in a dispute that we can help you resolve. Edge Painting looks forward to the next Meschi Project. We have done many projects for Meschi construction and can say quality and attention to detail is what we expect when working on a Meschi build. I defiantly recommend Meschi Construction.